The Wisconsin Humane Society Spay/Neuter Clinic is an affordable, high-quality spay/neuter clinic open to the public. Our goal is to reduce animal homelessness by reducing financial barriers to accessing spay/neuter surgery in Southeastern Wisconsin. Please note that all animals scheduled for surgery must be healthy, weigh at least 2lbs, and must be between 2 months and 7 years old. To schedule an appointment at our Spay/Neuter Clinic in West Allis, please book online or call (414) 323-6163. As we are a high-volume clinic, the phones are very busy. Please leave a message and we will return your call as soon as possible. Please note that all animals scheduled for surgery must be healthy, weigh at least 2lbs, and be between two months and 7 years old. Includes pre-surgical exam, spay/neuter, pain medication, and complimentary nail trim. Includes pre-surgical exam, spay/neuter, pain medication, complimentary nail trim. If you are looking for services other than those listed above, please check out our Veterinary Resource Guide for veterinarians in the area. Road Construction Alert: Please be aware that National Avenue from 92nd-95th Streets is CLOSED for construction through August 2019. You may access the clinic parking lot from 94th Street off of Lincoln Avenue. It will be easiest to turn right onto 94th Street if you are traveling westbound on Lincoln Avenue. 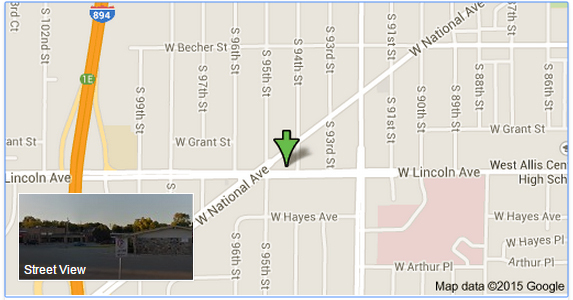 We are located at the corner of Lincoln and National in West Allis. We have a large parking lot for clients in front of the building. Cat drop-off at 8:00 a.m.
Dog drop-off at 8:30 a.m.
*Please note: the clinic is not staffed overnight. If you do not pick up your animal before we close, a $39 boarding fee will be charged and your animal may have to spend the night. The Spay/Neuter Clinic will be closed on December 24, December 25, December 31, and January 1. To schedule an appointment, please request an appointment online or call (414) 323-6163. As we are a high-volume clinic, the phones are very busy. Please leave a message and we will return your call as soon as possible. If you have questions, please email us at clinic@wihumane.org. Donate - You can click here to make a monetary contribution; every dollar makes a difference. Wish List - Every item donated from our Amazon Wish List means more funding we can put toward the animals in our care. Spread the Word - One of the most valuable ways to make a difference doesn't cost a penny: tell your friends about the clinic! Word-of-mouth referrals are crucial to our success. Special thanks to the Bissell Foundation for supporting our work! Dr. Michelle Williams graduated from Ross University School of Medicine. She completed her clinical year at Oklahoma State and during her externship with their shelter medicine group, she traveled to multiple Oklahoma animal shelters, teaching veterinary technicians about surgery. 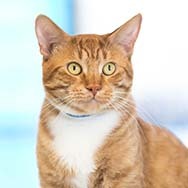 Prior to joining the Wisconsin Humane Society in 2016, Dr. Williams was an associate veterinarian at the Racine and Kenosha locations of Prairie Side Veterinary Hospital. In addition to her interests in surgery and teaching, Dr. Williams enjoys all the outdoor activities Wisconsin has to offer and spends her free time as a snowboarding instructor. She looks forward to working with WHS where she can give back to the community and the animals. 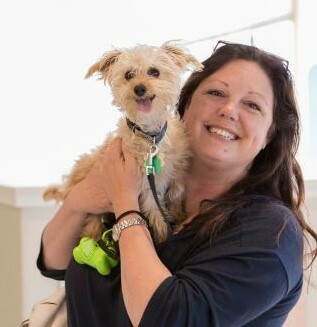 After graduating with her Doctor of Veterinary Medicine from the University of Illinois, College of Veterinary Medicine, Champaign-Urbana, IL in 2007, Dr. Rebecca Lederer worked at the Cat Hospital of Chicago, the Tree House Humane Society, and Paws Chicago. During veterinary school, she helped with a program that fostered the pets of women who were victims of domestic violence. Dr. Lederer completed a week-long training at Humane Alliance in Asheville, NC in 2009 and enjoys high-volume surgery settings. In her free-time she enjoys playing softball and spending time with her cat Pandora. She is looking forward to discovering Milwaukee and the surrounding area.